For The Love Of Meat? These were some of the responses after witnessing the extent of land clearing for cattle farming in central Queensland, Australia. Approximately 40 football fields worth of land are cleared for cattle grazing, every single hour. 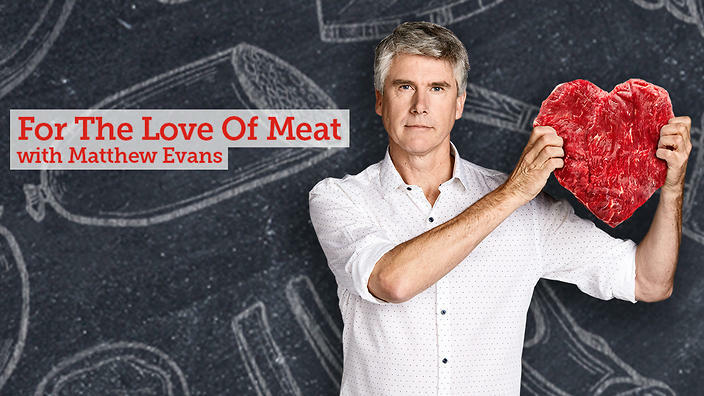 Food critic and gourmet farmer Matthew Evans takes a fresh look at Australia’s insatiable appetite for meat, and what it is doing to the environment, our health, and the animals themselves. Watch Here – SBS On Demand. SBS’s For The Love Of Meat (episode 3) follows a single cow through the process of grazing, rapidly growing and being carved up for cuts of meat. Along the way, Evans finds out some shocking facts about how damaging beef production is to the environment. Worldwide, according to the Organisation for Economic Cooperation and Development (OECD), the average person consumes 34 kilograms of meat per year. This following stat shocked me. In Australia, the average person consumes 90 kilograms of meat per year, thus crowning Australia as the second largest meat consuming nation on the planet (behind the USA). So what exactly is our love for beef doing to the environment? Well, it isn’t good. Firstly, more than half of Australia’s land is used for grazing livestock. That’s an insane amount of land being used for our lazy day BBQ’s and weekly dose of spaghetti bolognese. Most of the debris from land clearing is burnt, which has consequently doubled Queensland’s greenhouse gas emissions since 2011. Not good. Furthermore, 600 Aussie animal species are suffering as a result of extensive land clearing. Okay, still not good. Lastly, due to the spread of cattle grazing, polluted streams of Queensland are leading to the demise of our oceans, but more specifically, our already suffering Great Barrier Reef. Definitely not good. However, there are some viable solutions to the growing concern of animal agriculture sustainability within Australia. It all comes down to simple education and a willingness to change our habits. Solution One. Lead a more plant based diet. You’ll notice that I put ‘more’ in italics. This is because for many people, cutting out meat entirely isn’t an option. But, there is no excuse not to try. It’s not about cutting it out entirely, it’s about being aware of the process and reducing our overall intake (at least to match the average of the rest of the world, come on guys). Here are some quick stats from the CSIRO Animal, Food and Health Sciences Research Centre. Lentils and bread produce 1kg of greenhouse gases (GHG’s) for every 1kg of product. Chicken, 3kg of GHG’s for every 1kg. Pork, 6kg for every 1kg. Lastly, Beef produces a whopping 25kg of GHG’s for every 1kg produced. This takes into consideration all parts of the process. So, you can see that cutting out weekly portions of meat will make a difference. Solution Two. Nose to tail philosophy. Ever heard of it? The nose to tail philosophy basically encourages the utilisation of the whole animal. It urges us to respect the deceased animal’s life, which echoes the Native American practice of hunting buffalo in a sacred manner to feed a whole tribe, while wasting little of the animal in the process. Some of the most in demand cuts of beef are also the smallest parts, such as rib eye and scotch fillet. From a 500kg cow, roughly 4kg’s of rib eye is produced. That’s a crazy amount of waste when the majority of the other parts are ignored, such as the liver and kidneys, or offal. Interestingly, Nutritionist Karen Inge believes that offal contains a higher amount of iron, zinc and essential vitamins compared to the actual flesh. Again, it’s about eating smart and eating for the planet. I believe that as a society, we are quite disconnected from where our food comes from, especially meat. If we all took some time to educate ourselves and consider the long term implications, we may be able to reverse some of the incredibly damaging effects of animal agriculture. Please watch Matthew Evan’s For The Love Of Meat. You won’t regret it! Previous Is A Cruelty-Free Future Possible? Next Essential Oils: Nature’s Multitasker.